One of the youngest sommeliers in our list, 25-year-old Daniele Chelo was born in Milan but has called London his home since 2015. Having gained valuable work experience while at catering school in Italy, at the tender age of 18 Chelo completed a stage as a commis sommelier at Phil Thompson’s Michelin-starred Auberge du Lac in Welwyn Garden City, which set him on his fine-dining path. Back in Milan, he “fell in love with hospitality” at the Michelin-starred Al Pont de Ferr, under the stewardship of head chef Matias Perdomo. “The friendly atmosphere and service really opened my eyes,” says Chelo, who was particularly inspired by Perdomo’s creative approach to cuisine. While working there he experienced a wine epiphany after a bottle of 2004 Amarone della Valpolicella from Trabucchi d’Illasi, which drew him deeper into the wine world. Keen to improve his English, Chelo moved back to the UK in 2015 and got his big break at Jason Atherton’s Michelin-starred City Social, where he worked his way up from junior sommelier to head sommelier in just two years. Along the way he was named a certified sommelier by the Court of Master Sommeliers. 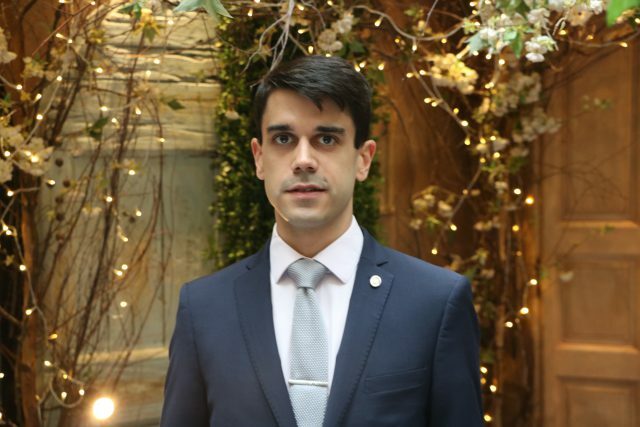 Chelo is now in charge of the wine list at one of London’s best-loved and most romantic restaurants, Clos Maggiore in Covent Garden, where he took over from former head sommelier Antonin Dubuis in July 2018. The 2,500-bin wine list at Clos Maggiore opens with a quote from Ernest Hemingway’s Death in the Afternoon: “Wine is one of the most civilised things in the world and one of the most natural things in the world that has been brought to the greatest perfection, and it offers a greater range for enjoyment and appreciation than, possibly, any other purely sensual thing”. Before he left, Dubuis ensured that not all of the Burgundies on the list require diners to remortgage their homes. The Big Little Burgundy section features top domaines such as Leflaive, and rising stars including Meursault’s Domaine Pernot Belicard. To acclimatise to London’s soggy climate, Chelo warms his cockles with a dram of Scotch. He dreams of owning a vineyard in the Langhe in Piedmont. “Every time I go there I feel so peaceful and am so amazed by the landscape. Add to that the people and the food and you’ve got a dream scenario,” he says. If he wasn’t a sommelier, he could have been a taxi driver, “or maybe I could sell watermelon on the beach”.